On the behalf of faculty members, staff and current students of Institute of Quality & Technology Management, I welcome you at one of the most prestigious and oldest seating of learning in the region. I believe that the opportunity to undertake undergraduate and postgraduate study at the University of the Punjab is privilege and I hope you will accept the challenges of life that lies before you. This Institute is committed to exploration and advancement of professional knowledge in the field of Quality Management and Industrial Engineering. Our graduates have made a significant contribution to these advancements through their professional attributes and research. Two students of the Institute have been awarded Ph.D. degrees in Total Quality Management. These are first ever Ph.D. degrees awarded in the country in the subject of Total Quality Management. Five faculty members are at advance stages of their Ph.D. degree in reputed Australian, British, American and Dutch Universities. We have a mix blend of highly qualified and professional faculty. Whenever needed highly trained individuals from corporate world are engaged as visiting faculty members. We intend to be the hub of Quality Management and Industrial Engineering research in the region so if you are ready to be the part of this challenging environment, then I welcome you to the IQTM family. 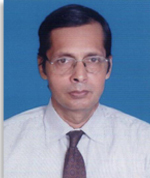 Dr. Abdus Salam is Director at Institute of Quality & Technology Management since June 2012. Previously, he was professor at College of Engineering & Emerging Technologies. Dr. Abdus Salam attended various conferences and has more than 40 publications in national and international journals/conferences. His main research areas are Superplastic forming, Diffusion bonding, and other Metal forming processes, Manufacturing methods via Powder processing route, Heat treatment and Mechanical behavior of engineering materials, Microstructural characterization of materials, Fracture and deformation processes, Production and operations management, Total quality management, Reliability engineering, Service quality dimensions, Implementation of quality management principles in industrial organizations and higher education institutions. Dr. Abdus Salam completed his PhD in 1990 in Materials from University of Leeds, UK. His PhD research work involved a study of superplastic forming of titanium base materials. He obtained his BSc Engineering degree in Metallurgy and Materials Science from University of the Punjab, Lahore.